On my path towards the water for sunrise a couple of weeks ago, I passed under the 4th Avenue Flyover Bridge. 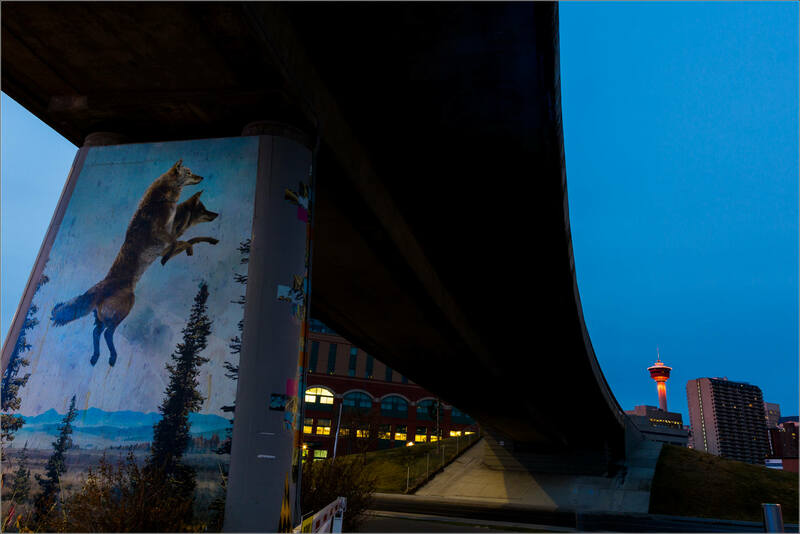 Curtis Van Charles Sorensen’s mural of the leaping foxes is a street art favorite of mine. I liked how the curve of the bridge allowed me to connect it to the Calgary Tower. 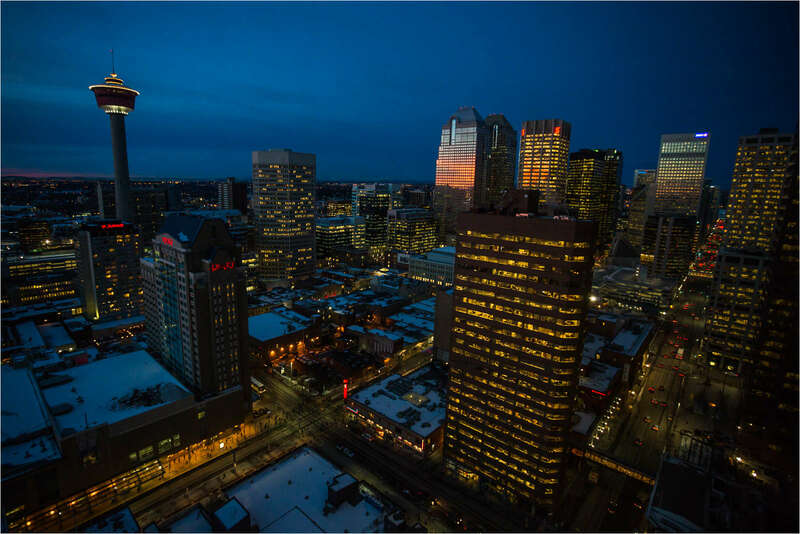 The night lights on the Calgary Tower caught my eye a couple of weeks ago. I found an interesting perspective after moving around a bit. The sky to the east was beautiful this morning. 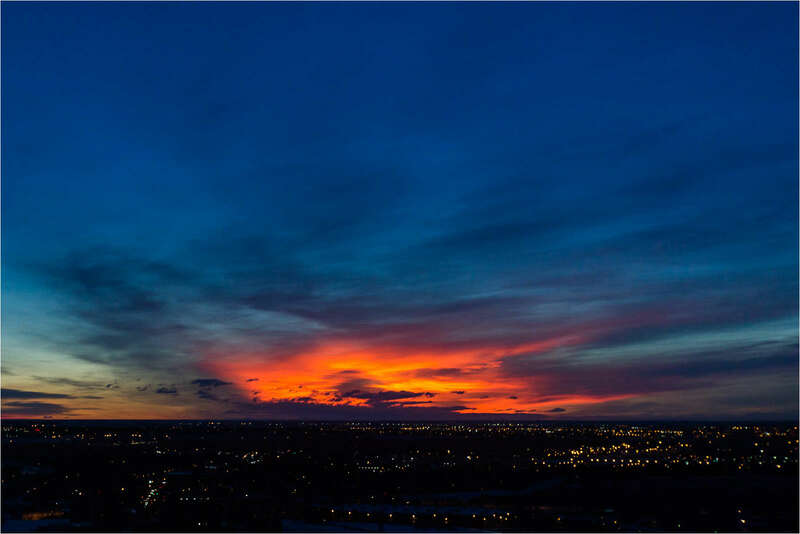 I had a chance to photograph from a good elevation which let me see the horizon towards the east and the downtown cityscape in the other direction. I loved the explosion of color in the clouds preceding the sunrise and those added nice reflections in some of the glass facades of Calgary’s prominent buildings.